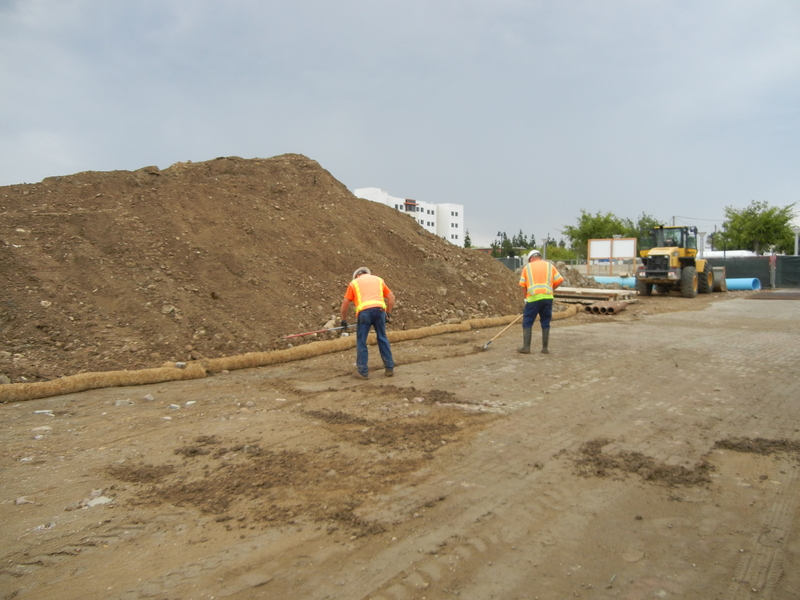 With a chance of rain in San Diego over the next couple of days, the Storm Water Pollution Prevention Plan (SWPPP) kicks into high gear. 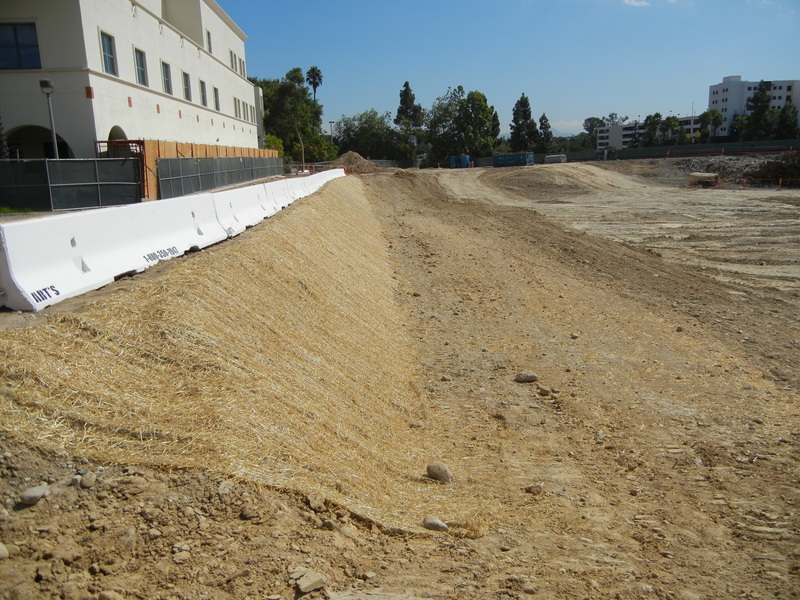 Sundt has installed straw around the site for erosion control/silt migration control. And don’t mistake the straw for a horse’s favorite snack, hay. The Best Management Practice for the SWPPP is the straw, which comes from corn and is a lot tougher than hay, which would rot away quickly because it’s basically grass. Straw along the north slope. Covered by net so it doesn't get blown away by wind. Straw in tubes at the base of Mount Aztec.